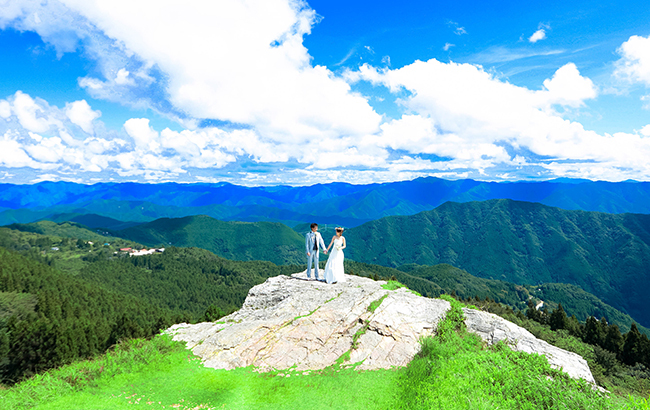 The largest city of western Japan, Osaka is a dynamic city having unique cultures and lively entertainments and Having created a historically distinct culture of food, performing arts, and various other elements The city has many sightseeing locations to offer ideal for photo shoots. 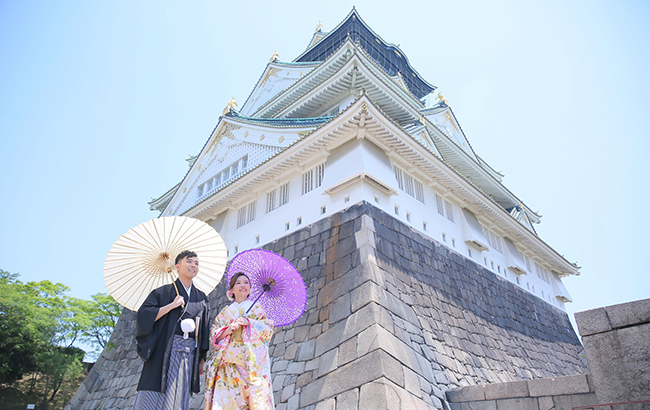 From Osaka Castle to Japanese Gardens, Osaka has many landmarks to choose from. Enjoy the splendid keep of Osaka Castle surrounded by natural beauty. 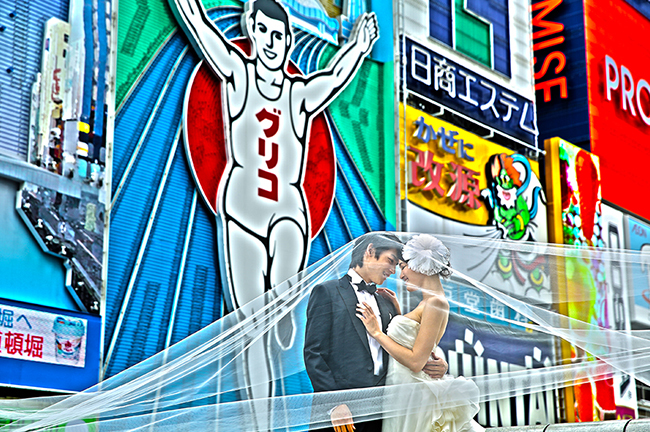 Centered along the Dotonbori river, a bustling quarter lined with various night time attractions. The neon Glico running man sign and the Kani Doraku crab chain are two of the famous sites here. Very famous for having a beautiful Japanese garden with ponds, bridges and old tea ceremony house, which is often used in Japanese film. 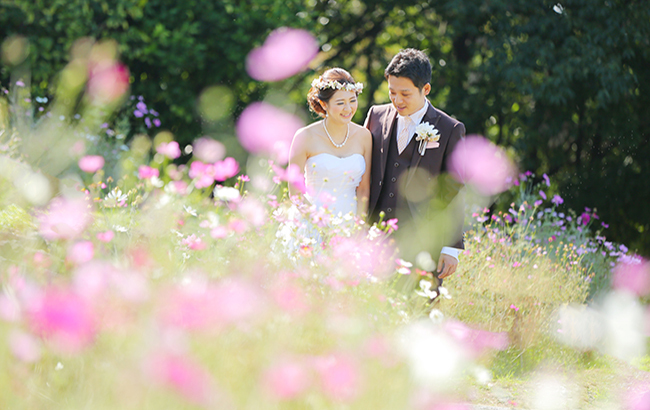 This is an ideal location to capture autumn leaves and cherry blossom seasons.